The supermarket on my sofa: A Tesco online shopping review. There’s things I prefer in life to pushing a wonky shopping trolley loaded with a grabby toddler and a pre-schooler begging for snacks. Like a trip to the dentist, or cycling uphill in the rain. I’ve used online shopping sporadically in the past, but I never seemed to be together enough to have a list ready to do it regularly. Sometimes, it just seems easier to pile everyone into the car and pluck enough random foodstuffs from the aisles to stay upright and functioning for the week ahead than it is to plan and budget and stick to a list. And so, when I got the chance to try out Tesco online shopping again last week for review purposes that’s exactly what I did! I’ve mentioned that we were trying meal planning before but we did fall off the wagon fairly quickly. Now, we have purchased a small blackboard under the no doubt mistaken illusion that we’re more likely to use that for our weekly meal plan than a repurposed kids’ reward chart. I already had a Tesco account set up. Registration is easy whether you do or don’t already have a clubcard. Although we don’t shop there every week, I have a Tesco Visa card which I use to accumulate clubcard points on all my purchases. Since the last time I used online shopping, when my 2nd child was new born, there’s definitely been an improvement in the functionality of the site. All my frequent Tesco purchases were stored in the ‘Favourites’ tab, so in addition to working off my list, I could see if there was anything else I’d usually get that I’d omitted. I stock up on a lot of my vegetarian staples at Tesco – Quorn products, Dee’s wholefoods, Cauldron tofu and Marigold boullion powder. The German multiples just don’t have everything I need for my store cupboard, and I can’t always get to an Asian market, so I spread my shopping out a lot! What’s particularly comforting is the little 3+, 4+ and 7+ symbols displayed next to fresh products. When online shopping in the past, I really felt I was relying on the integrity of my picker to not give me short dated items, or just past its best fruit and veg. This is a built-in guarantee that I’d get as good a product as I’d have chosen myself. To reward myself for a shop well done (on my lunchbreak in work incidentally) I threw in a couple of extra special offer goodies…half price Ben & Jerry’s, mmmm! All are available at a glance on the front page. You can ignore them more easily than trying to avert your eyes rounding the end of the aisle in the bricks n mortar supermarket, but they’re there if you want to see them all in one place. As I was doing this for review purposes, I decided to throw caution to the wind and allow substitutions on all my purchases – you can apply a blanket setting then tailor individual items as you wish, say if you’ve a preferred brand or flavour of something then you may not want it to veer from your choice. There’s also an option to add a note to the picker. Like ‘green bananas please!‘. Our picker was spot on. There was one substitution on a toddler snack, one flavour for another, which the driver pointed out to my husband on delivery. 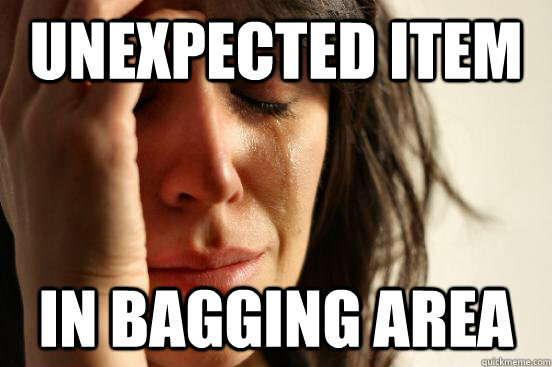 He also explained one item wasn’t available and there wasn’t an alternative so it was left off. There were actually 2 more anomalies, not listed, but not unwelcome. One cleaning product was a different scent than ordered, and instead of a pack of ‘Tesco Finest 2 Garlic And Coriander Naan Bread’ ordered, there was 2 other 2-packs of the same flavour put in. Bonus naan! Hard to complain, but a little confusing that they didn’t appear in the substitution list. It did make me feel the need to go over the rest of the list to make sure I had gotten what I ordered. I received a €50 voucher with which to complete this online shop. However, my opinions and the content of this review are my own. It’s been a while since I did my grocery shopping virtually and that’s a good offer you’ve got there. When I last had groceries delivered from Tesco I was happy with the substitutions too. Yeah they really have fine tuned the service over the years I reckon. We’re weekly online shoppers. Very few missing items anymore and substitutions not bad either. My toddlers new favourite thing is throwing stuff out of the trolley as I’m filling it so I could be reverting back to online shopping any day! It sounded as though you gave the review angle a lot of thought – testing the system, which I didn’t think of – and I’m sorry to say that I haven’t done it since, mainly because the delivery does not include prescription items or cash from the cashpoint! Not sure I could trust them with my pin candi!. Actually I noticed some big Tescos have pharmacies. Are their meds any cheaper than boots or independents or is it all a super rip off in the republic?